The first journal issue that you'll receive is the last published issue before your purchase plus all issues published in the 12-, 24- or 36-month period starting from the date of purchase. 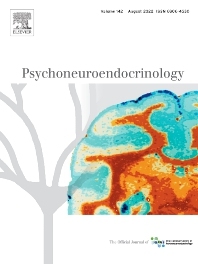 Psychoneuroendocrinology publishes papers dealing with the interrelated disciplines of psychology, neurobiology, endocrinology, immunology, neurology, and psychiatry, with an emphasis on multidisciplinary studies aiming at integrating these disciplines in terms of either basic research or clinical implications. One of the main goals is to understand how a variety of psychobiological factors interact in the expression of the stress response as it relates to the development and/or maintenance of neuropsychiatric illnesses. The journal is international and comprises original research papers, reviews of an area of the literature, or at an appropriate stage in the development of the author's own work, commentaries in areas of current interest, short communications and book reviews. Although reviews, editorials and commentaries are usually by invitation, interested authors can contact one of the Co-Editors-in-Chief to discuss the suitability of topics for either category of manuscripts. "Diversity, Health, and Resilience: Taking Science Beyond Discoveries"